HomeAre You Ready For Your Annual Appeal? Are You Ready For Your Annual Appeal? Wow, it’s already September. This summer seemed to zip by. As the humidity gives way to that wonderful crisp air, life gets a whole lot busier once Labor Day passes. This is also true for nonprofit organizations, especially if you are doing an annual appeal later in the fall. 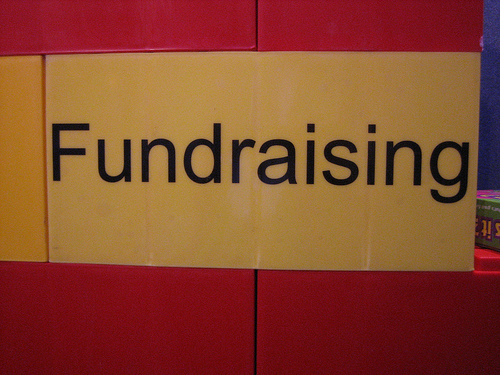 Many nonprofits rely on their annual appeal for a good portion of their revenue. Even if you are not sending it out for a couple of months, there’s a lot to do to prepare. I’ve compiled this checklist of items to help you get ready for your annual appeal. You may have already set a goal in your 2013 fundraising plan (at least I hope you did) and perhaps you need to revise that goal. If you haven’t set a goal, determine how much money you need to raise before you start your campaign. Your appeal letter should highlight some of the year’s accomplishments and state what you plan to do next year. For example, let’s say you run an afterschool program for high school students. Share your success of reaching your goal of serving X number of students. Next year you would like to expand and serve middle school students, as well. Focus on the people you serve and show how you are making a difference thanks to your donors’ contributions. Don’t wait until the end of October to check your supply of letterhead and envelopes. Make sure you have enough. Perhaps you want to create a special outer envelope. Even though many people donate online, you want to make it easy for donors who prefer to mail a check. Include a return envelope and a preprinted form with the donor’s contact information and the amount of last year’s gift. Monthly giving is great way to get larger contributions. Some people might balk at donating $100 or more, but if you present it as $10 a month ($120 a year! ), it sounds more feasible. You aren’t done with your annual appeal once you mail out your letters. You need to thank your donors as soon as you receive their gifts. Unfortunately, thanking donors seems to be an afterthought for some organizations. Now is a good time to create or buy some thank you cards, as well as finding board members to make thank you calls. I realize you’re busy getting ready for your annual appeal, but this is not the time to skimp on your newsletters and social media updates. Keep engaging your donors and other supporters (who may become donors) by sharing success stories. Go the extra mile and send messages of gratitude or hold an informal open house. I’ll be writing more about annual appeals throughout the fall. In the meantime, what are you doing to prepare for your annual appeal? Hope all is well with you and would love to connect with you sometime to talk more about your work. Thank you, Vanessa! I appreciate it.